By Dr. David Harrison, VP of Physician Affairs, Teladoc Health. I’m not exactly sure why she said that, but I promised myself that I wouldn’t do so. Now, 22 years later, I’m happy to say that I haven’t lost my excitement about the singularly remarkable calling of practicing medicine. But it hasn’t always been easy, for burnout is a tenacious threat, always lurking. There are many ingredients in the inoculations against and antidotes for burnout, and these differ for every doctor. I’d like to propose that virtual care—telemedicine, expert medical case reviews, and more—can be one of those ingredients for many of us. To clarify my perspective, I am a virtual care physician, supporting remote expert medical case reviews since 2005 as well as general medical visits via telemedicine. I also maintain a very active adult and pediatric primary care practice. If diversity is the spice of life, I guess I try to keep things muy picante! So how can virtual care help mitigate burnout? Let’s first take a quick look at the problem. Physician burnout is a real and growing problem. 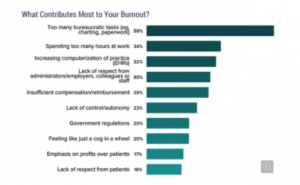 In a broad-based study assessing U.S. physicians using the Maslach Burnout Inventory (MBI), the American Academy of Family Physicians found that more than half of all physicians reported at least one symptom of burnout—and for family physicians, that number jumps to nearly two out of three. It’s important to be clear: It’s not that we physicians, by and large, are losing our passion for healthcare. Instead, many of us—at one time or another—can feel dragged down by bureaucratic hurdles, the demands of documentation, overbooked clinic schedules, and more. In this context, the flexibility, efficiency, and (I daresay!) fun of virtual care can do wonders to lighten the load. I love being a part of the lives of my patients—as a med/peds physician. Caring for multiple generations of family members over the years is deeply gratifying. That said, I have found virtual care to provide a balance and remedy, if you will, in various ways. A break from the races. There’s no arguing that clinic sessions can sometimes feel like stressful four-hour-plus sprints, trying to care for as many patients as possible, many of whom require management of complex problems. Virtual care provides the flexibility to see as many or few patients as you want, to take breaks when you want, and to spend as much time as needed with each patient. Minimal administrative work. Balance. Autonomy. Nice! A complement to primary care. 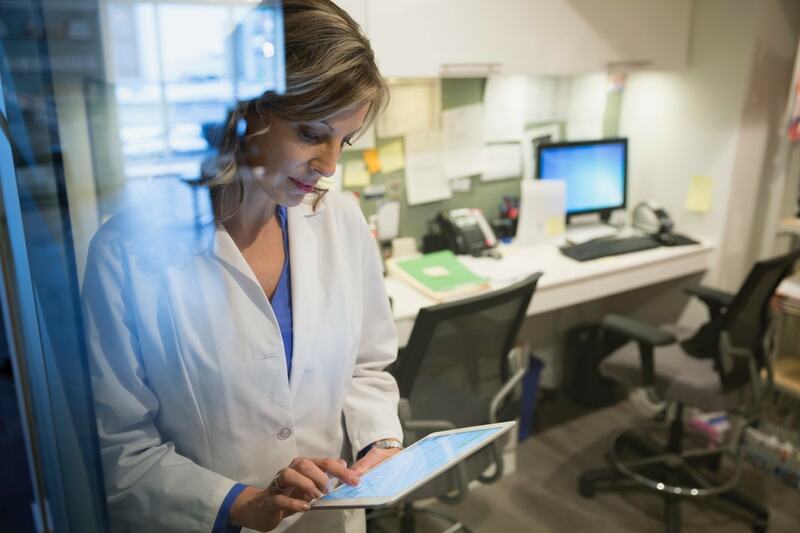 On a macro scale, virtual care is doing something important within our broader healthcare ecosystem, as it can absorb many urgent care demands for our already overburdened network of primary care physicians. 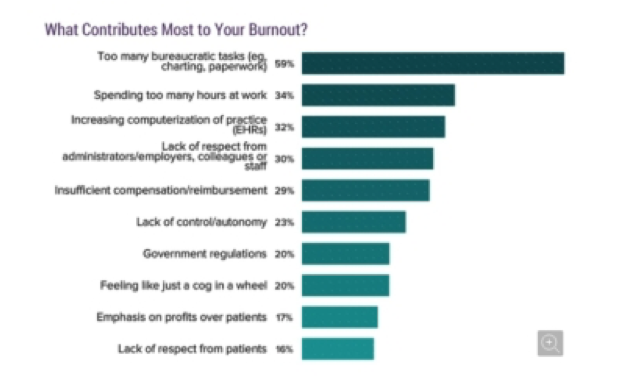 As virtual care complements, supports, and offloads primary care, we’re again chipping away at the burnout beast. Greater clinical diversity. Early pioneering deployments of virtual care have largely been rooted in managing high volumes of more straightforward episodic illnesses, such as URIs, skin rashes, and UTIs. Fortunately, that’s changing. With new technologies, expanding service lines, and a commitment to clinical excellence, Teladoc Health is successfully expanding support for a much broader set of clinical From episodic care to complex conditions, virtual care can deliver the most value—and the best health outcomes—for patients. This clinical diversity—and the professional, intellectual, and emotional satisfaction that accompany it—further remedy physician burnout. What excites me most is that the future of virtual care is at a pivotal point right now—we’re defining it, evolving it, and empowering physicians to be their best. Much as a hospitalist coordinates care and collaborates with the primary care physician during an inpatient stay, I believe the virtualist will work in concert with the patient’s primary medical team on a broad range of healthcare matters, including urgent care, disease management, specialty consultations, and more. The virtualist will become part of the front line of the patient’s healthcare experience, increasing access to and appropriate utilization of clinical resources, while the primary care physician directs the long-term achievement of optimal health outcomes. As we celebrate National Doctors’ Day, I would like to thank the many physicians on our amazing team, as well as our clients who can count on Teladoc Health for the quality and breadth of coverage that we provide. Together as physicians practicing virtual care, we have the exciting opportunity to be at the forefront of our discipline, to contribute to a better patient experience and improved outcomes, and, in the process, to really enjoy our work and to say good riddance to physician burnout. Dr. David Harrison is vice president of physician affairs at Teladoc Health. He is also a primary care internist and pediatrician at Massachusetts General Hospital.